As relations with the West are not very good, Russia’s wealthy are desperately trying to find a way to safeguard their funds that does not involve oil or foreign real estate, with the 2008 global financial crisis denting the wallets of many of the old-guard oligarchs. And with the Central Bank stepping up its audacious cryptorouble project, many of the country’s billionaires have decided they need to act sooner rather than later. This has all led many of Russia’s mega-rich to turn to the brave new world of cryptocurrencies and blockchain technology. 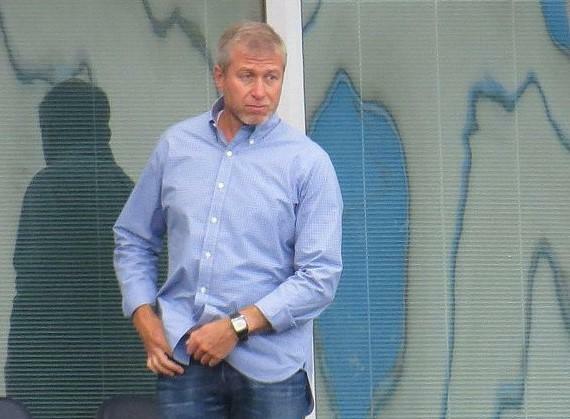 Chelsea FC owner Roman Abramovich is perhaps the best-known of all of Russia’s super-rich. As one of the first Russians to move into the British property market, Abramovich has once again shown a willingness to diversify his broad investment portfolio. The London-based billionaire has most recently decided to invest in Telegram, the cryptocurrency community’s favored chat app. Telegram is co-owned by Abramovich’s countryman, Pavel Durov, known as the “Russian Mark Zuckerberg.” Durov recently told the American Securities and Exchange Commission (SEC) that he had gathered some USD 850 million in investment for Telegram from a total of 81 investors. Opinion is divided as to the size of Abramovich’s investment, with some sources in local media quoting a figure of USD 300 million. Others, meanwhile, say Abramovich’s stake is no higher than USD 20 million, with Russian investors accounting for just 7% of Telegram’s recent investment. No matter how big Abramovich’s Telegram investment really is, there is no denying that his head has been turned by crypto in recent months. And he is certainly not alone – nor is Durov’s company his only cryptocurrency-related investment. Indeed, Abramovich was last year revealed to be one of the investors in Target Global, a Berlin-based venture capital group that is said to foster promising blockchain startups. It appears Abramovich has found himself in illustrious company at Target Global. Fellow super-rich Russian, steel tycoon, Evraz chairman and USD 100 million yacht owner Alexander Abramov has also put a considerable amount of money into Target Global. As has Evraz’s CEO, Alexander Frolov Snr. And to complicate matters yet further, Target Global was founded by Frolov Snr’s son, Alexander Frolov Jr, a man who has built a career out of “managing the assets of wealthy clients” from Russia and the CIS. The plot thickens. Frolov Jr is also said to have orchestrated much of the funding for Blackmoon Financial Group, the brainchild of Ilya Perekopsky (formerly Durov’s right hand man at Russia’s answer to Facebook, VKontatke). Perekopsky’s chief Blackmoon partner is another big-hitter on the Russian financial scene: Oleg Seydak, an investment guru and the former Head of Project Financing at MDM Bank. Last year, Blackmoon launched a massive ICO for the Blackmoon Crypto platform. Perekopsky says that Blackmoon Crypto will help ensure the security of cryptocurrency investments, and claims he will be managing USD 1.8 billion worth of assets on his platform by 2022. And if that does not sound complicated enough, add in the fact that superstar investor, billionaire and philanthropist Igor Rybakov is also said to be a Blackmoon Crypto investor. And that Rybakov’s investment partner, Oskar Hartmann, is one of Blackmoon’s chief evangelists (and also a close pal of Perekopsky’s). Hartmann is another big hitter on the Russian financial scene – and is thought to be a major crypto investor. Originally from Kazakhstan, but raised in Germany, he is Moscow’s answer to Jack Ma, the co-founder of a Chinese tech giant Alibaba Group, with his successful KupiVIP.ru e-commerce platform now one of the biggest online shopping sites in the country. His ambitious plans for a blockchain-powered auto maintenance platform have already turned a few heads in the United States. Even away from the tangled web of ultra-rich Target Global and Blackmoon Crypto investors, there are plenty of other notable crypto-keen Russian elites. Perhaps most notable of all is Roman Trotsenko, whose transport empire comprises no fewer than 13 Russian airports, the Moscow River Steamship Line, shipbuilding companies and a whole network of ports. Trotsenko is reportedly attempting to launch the largest cryptocurrency exchange platform in Russia, and is said to have asked president Vladimir Putin to consider legalizing cryptocurrencies in a meeting held in September last year. 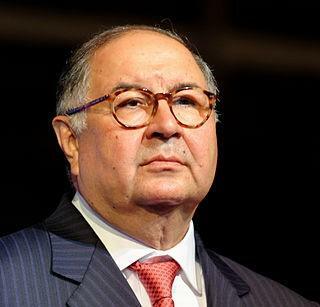 Like fellow veteran oligarch Abramovich, Alisher Usmanov (one of the main shareholders at Arsenal FC) is also thought to have invested a portion of his USD 19.6 billion fortune in cryptocurrencies. Not to be outdone, another of the original Boris Yeltsin (the first president of the Russian Federation) era oligarchs, En+ Group chief, Putin pal and former Abramovich business partner Oleg Deripaska is along for the ride. 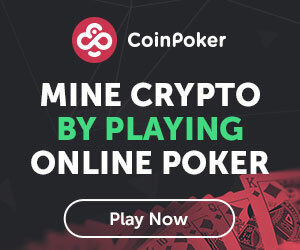 Unlike the rest, however, Deripaska has developed a particular penchant for cryptocurrency mining. Last year, he unveiled plans to create a massive cryptocurrency mining center in one of his aluminum processing plants. Deripaska has struck a partnership deal with AA!LAB, a Bulgaria-based industrial mining company established by Russian programmer Alexey Zenkov. Deripaska hopes to have the mining center up and running by the third quarter of 2018. The plant will dedicate some 6mW of electricity to cryptocurrency mining efforts as part of its new initiative. And with Russia heading to the polls for a presidential election in March this year, yet another of Russia’s billionaires has already posited himself as the bitcoin candidate. Currently the Kremlin's business ombudsman, Boris Titov last year announced he would run for the presidency, raising eyebrows in Russia’s cryptocurrency investment community. Titov, whose son Pavel is also a prominent cryptocurrency investor, is said to be working on a Russian ICO incubator and pre-verification platform with Sasha Ivanov, the founder of the Waves blockchain platform. Titov Senior was one of the most outspoken critics of the crypto-regulation bill, saying, “It would be better not to adopt anything than to adopt legislation like this.” Titov Senior has also said, “Every Russian citizen should have the right to trade in cryptocurrencies.” However, as for now, Titov has virtually zero chance of winning the election, according to the recent polls.